Pictures furnished by Larry Bourbonnais. I received three reels of slides from Larry. 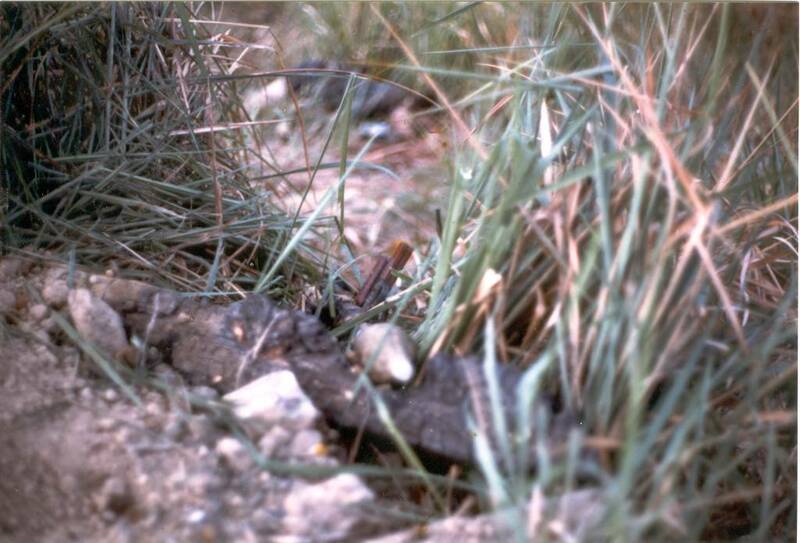 I had some of those slides developed into these photos you are about to see. Gun #2 May,1969. 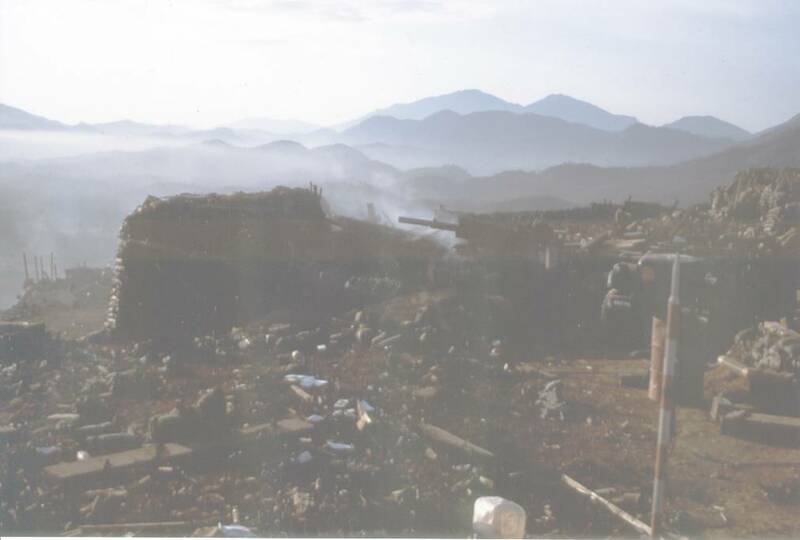 You can see what is left of the hootch and the ammo bunker that gun #1 had. 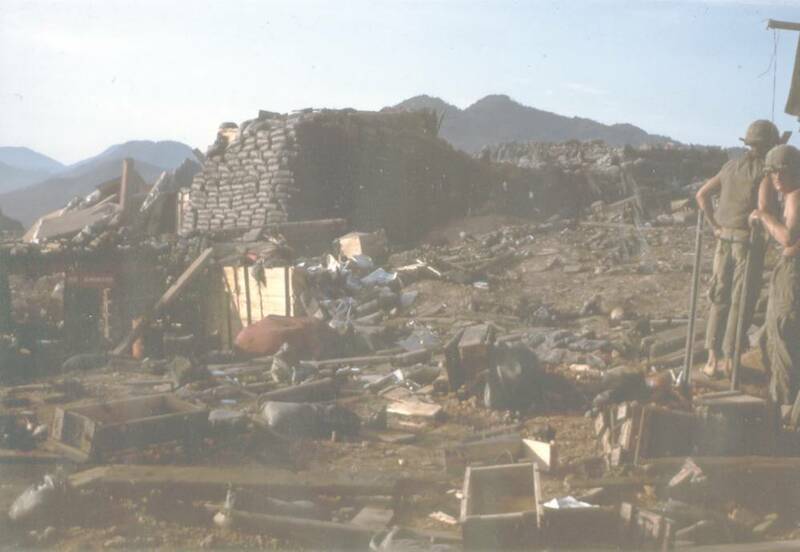 This gun section was knocked out twice during this time. 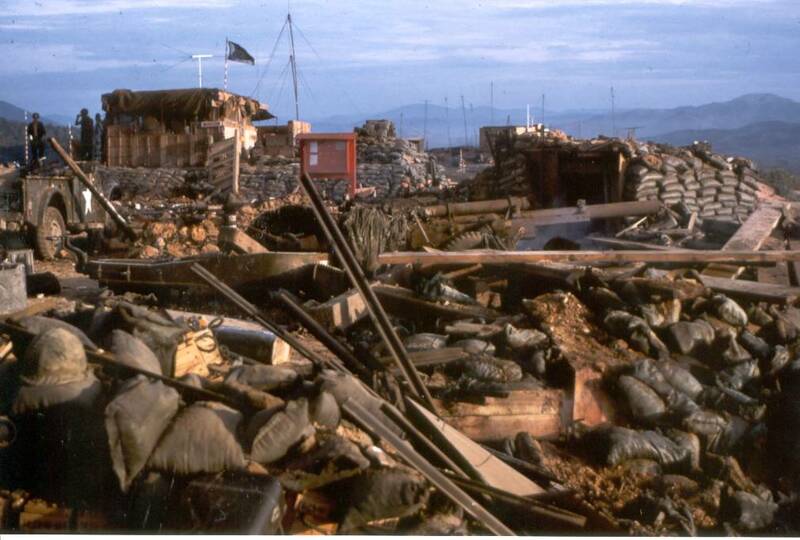 Looking out from FDC's bunker May,1969. 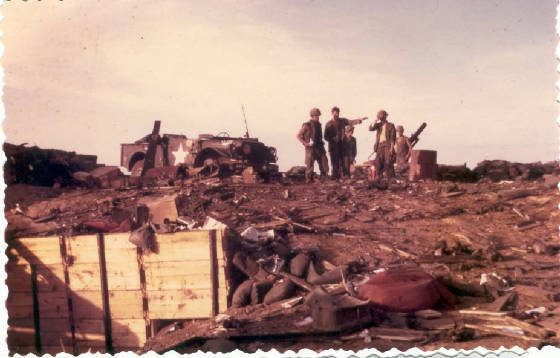 Looking at gun #4 from gun #2's gun pit, May,1969. There is a dead Gook in the weeds just inside the wire. If you look hard in this picture, you will see the RPG he was going to fire. I just wonder what he came back as? 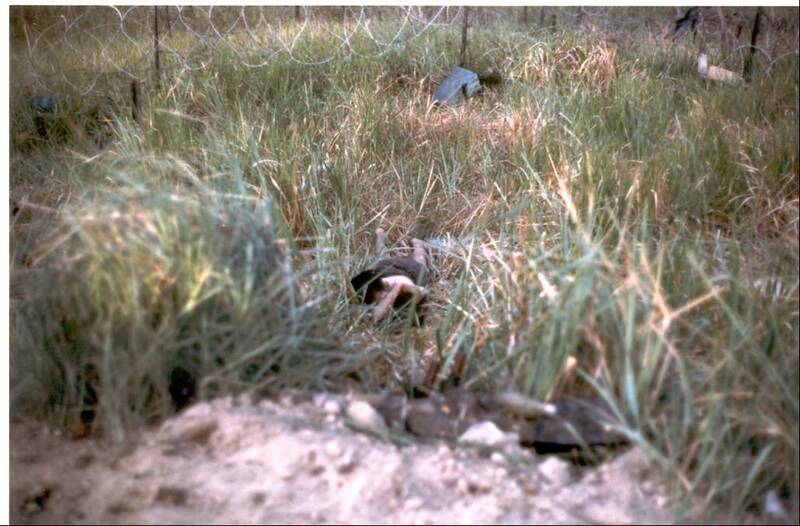 Dead Gook in the back ground and you can see in this picture the RPG he didn't get to fire. Left to right, Taff, Sgt. 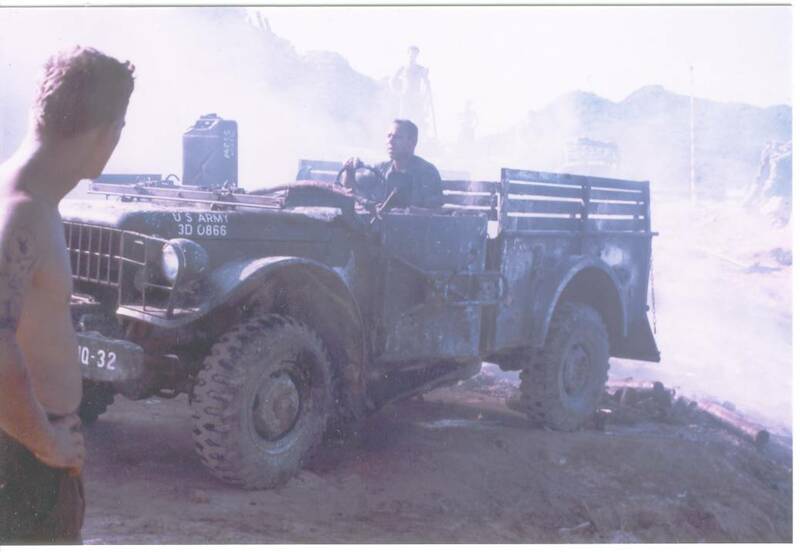 Cole in 3/4 ton truck, and Mike Sutter in back ground. 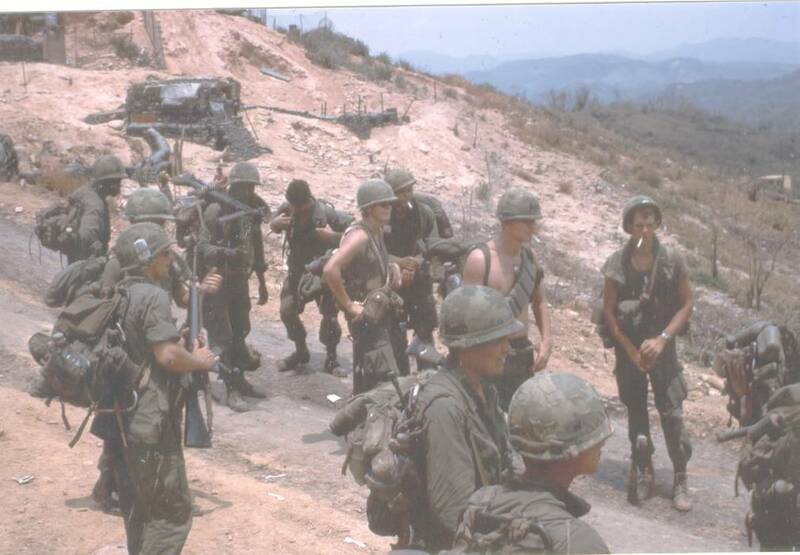 Company A 1/46th leaving LZ Professional just before Mothers Day 1969. It was taken on the lower chopper pad. 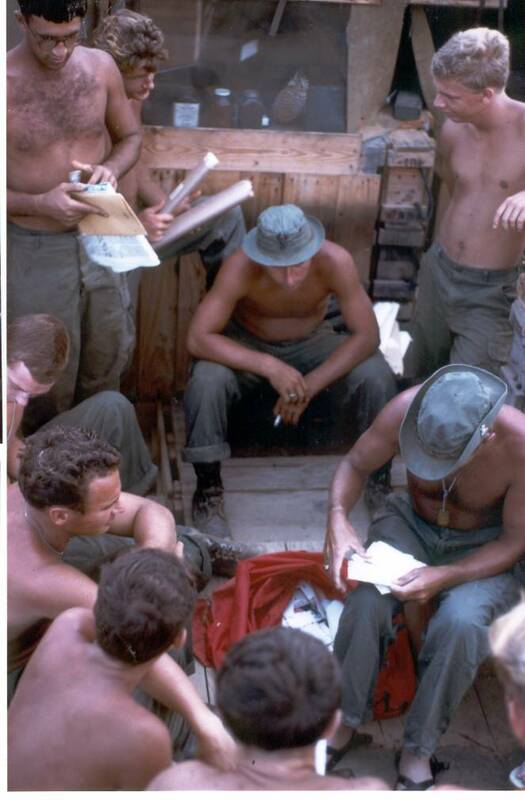 The young man on the right smoking a cigarette with his helmet pushed back his the RTO for Captain Dunagan who received the CMOH just off of Professional. The RTO'S name is Tom Martiniano. The rest of the men in this photo are unknown to me. 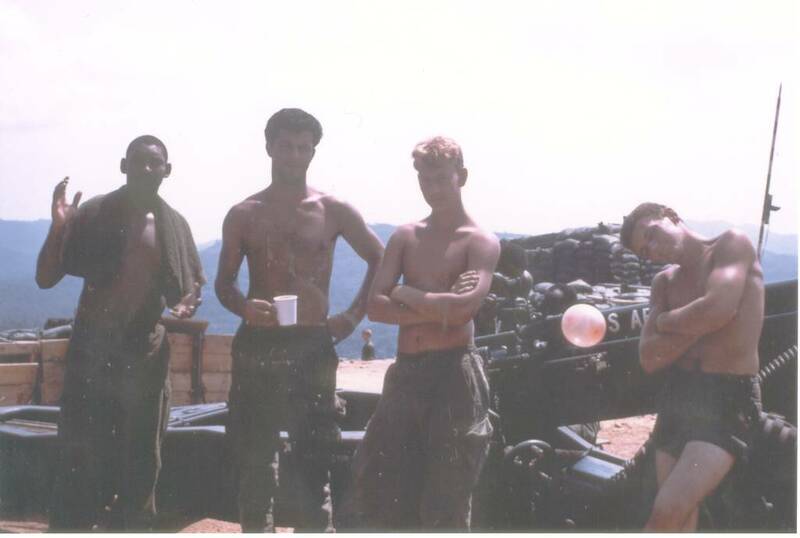 Like Tom said in his e-mail to me most of the men in this photo didn't make it out alive. Tom won the Silver Star for his actions during this time. 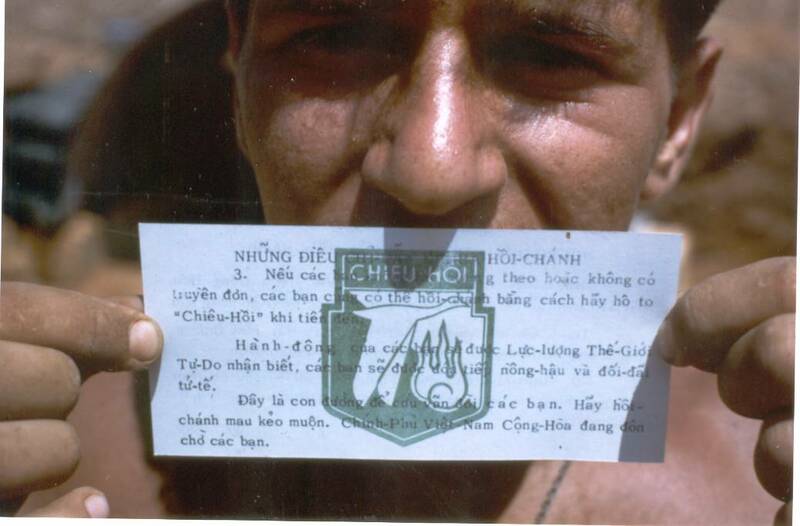 I think this is Joe Borgasano holding a CHIEU HOI slip that was dropped from a plane. I don't know what it says, but I am sure it goes like this, "Come on over to our side. You will get good food and good pay. Be a good guy! Sounds pretty good, doesn't it?" I am being a goof-off. I really don't know what it says. Left to right, James Gerald, Mike Sutter, Andy, and Dell Burns. This photo touches me everytime I look at it. The young man on the left is James Raeford Gerald Jr. who came in country on April 27, 1969. 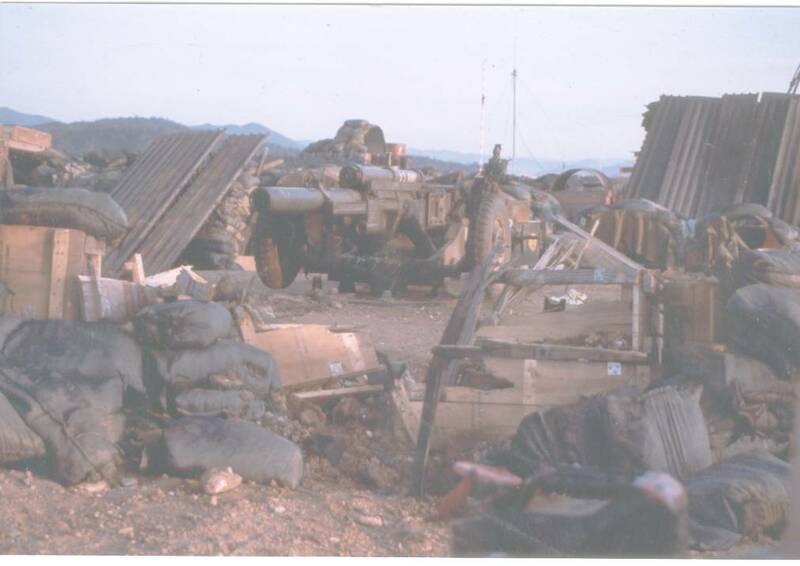 He had only been in Charlie Battery less than two weeks when he was killed. He was 18 years old. When I look at his picture of him, I have this feeling that he was saying good-by. Thanks to Larry, this is the only known photo of him. He was killed on May 20, 1969.